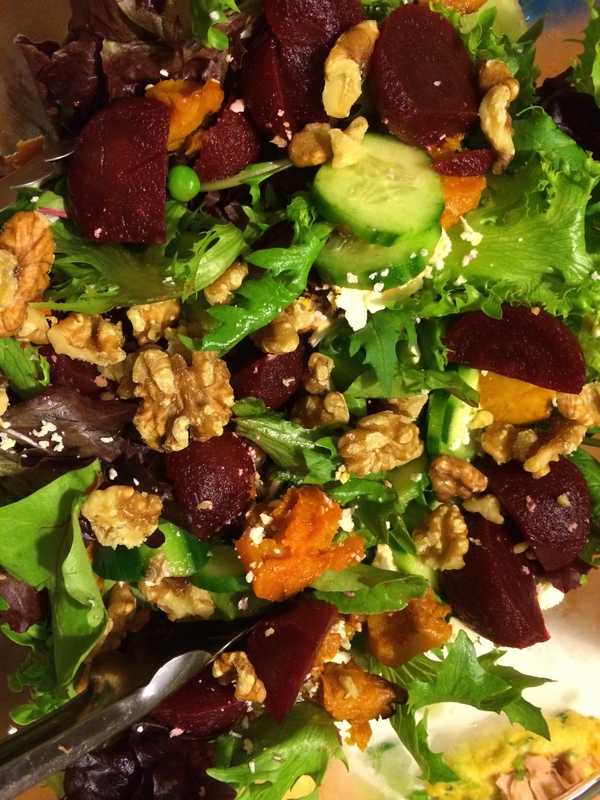 Great quick and easy, mix and match salad idea that wows! 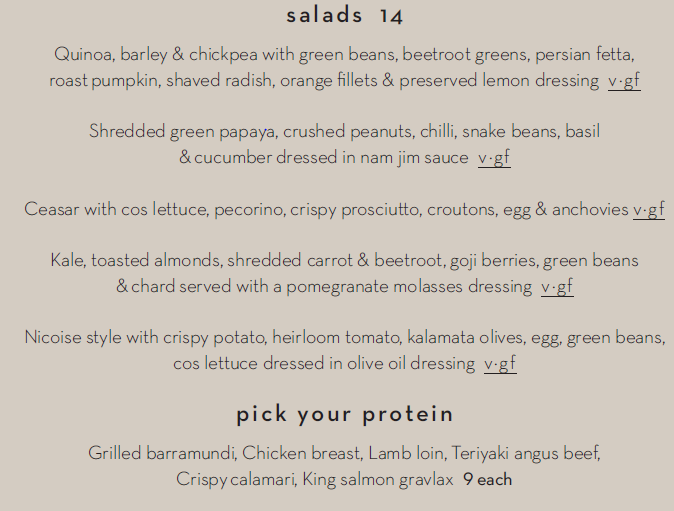 The lunch menu at Double Shot, in Deakin is a fine example of how to throw together a side or main meal salad at home that will wow your guests but still leave them feeling light and ‘fine’. It’s also a great idea for work or home when you’re eating light and pacing yourself between social dining opportunities. – if you have more time and energy, get inspiration from restaurant and cafe menus that usually have interesting combinations that work well. 3. Layer the different ingredients on top of the leaves, leaving the most interesting colours, textures and flavours for the upper layers. 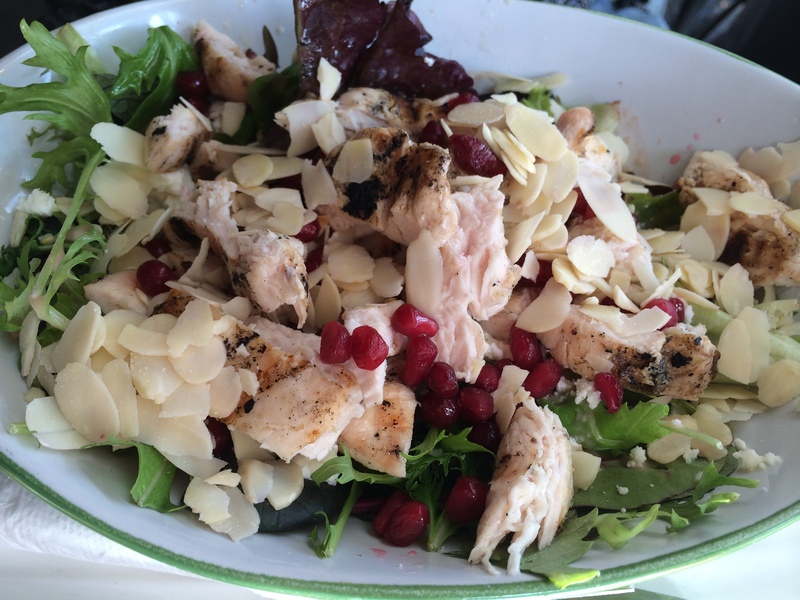 (Tip: if you allow the dressing to be added to individual plates then any leftover salad will keep better until the next meal). 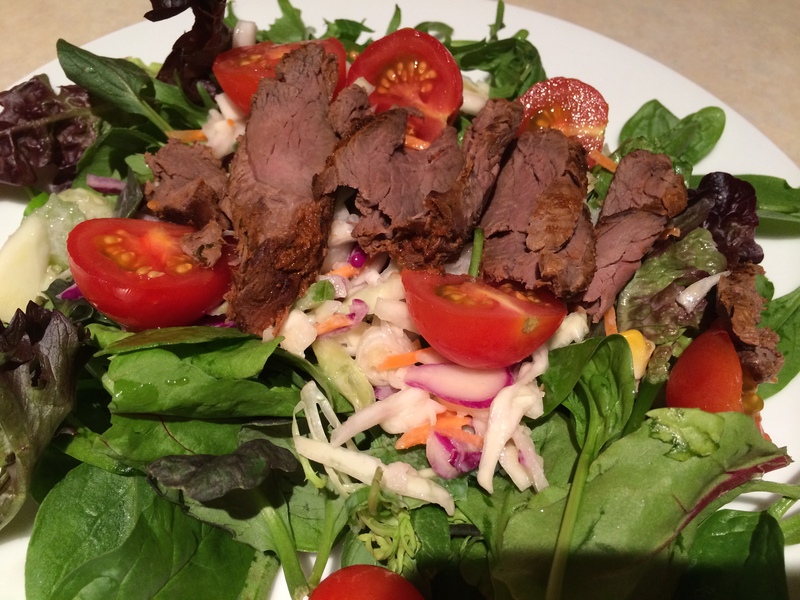 Add a cooked protein food (sliced often works best), perhaps marinated/smoked/warm (e.g. warm thai beef, warm chicken, tandoori chicken, smoked salmon/trout/ham/chicken, boiled eggs, cubed or crumbed cheese, prawns or other seafood, warm marinated tofu). Usually this layer is best near the top of the salad, but with more colourful/flavoursome and textured layers garnishing it. Frozen baby beans/ baby peas/ tender corn kernels (blanch these by pouring boiling water over them, stand for a few minutes, then drain well). This quick and easy comfort food, is very light on kilojoules at around 350kJ per bowl. Cook up a big batch to freeze in portions and take for lunch, or jazz it up with fresh chopped coriander and good bread to serve for friends. For dinner, you can give it more body by adding extra cooked leftover/steamed/frozen veggies and even some tinned drained chickpeas. 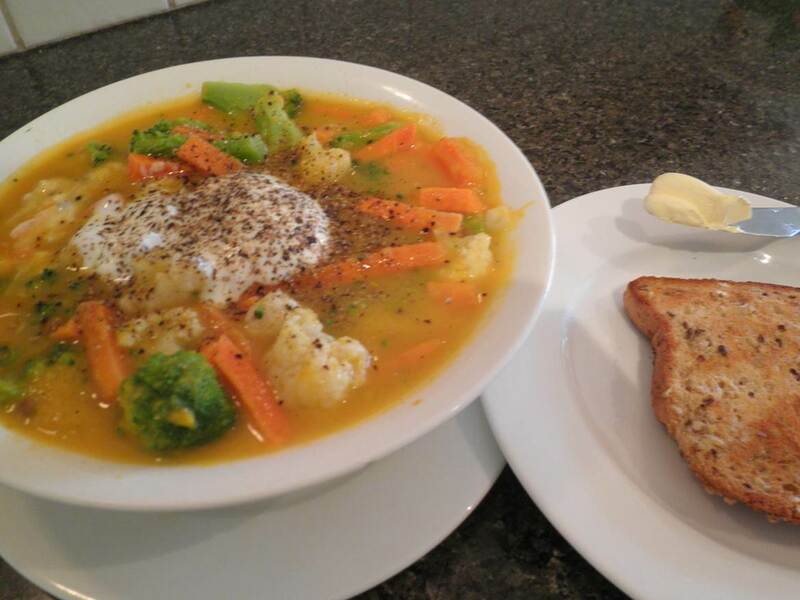 It can be varied nicely by using cauliflower, broccoli or zucchini instead of carrot. Serve two different colours together for added style. Heat oil in large saucepan and cook curry paste until fragrant. Add all other ingredients except milk and essence. Simmer until veg are tender. Add milk and essence and puree soup with food processor or hand held blender. Light Hollandaise great for salmon too! 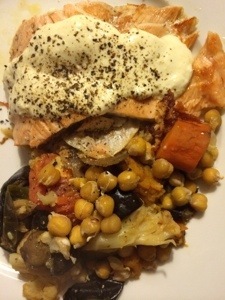 A light hollandaise sauce made from 2 Tbsp thick greek natural low fat yogurt and 1 tsp Dijon mustard ( serves one) is also terrific on top of Atlantic salmon (here served with roasted veggies). 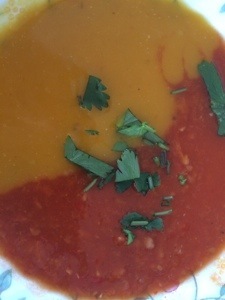 To make homely soups look more classy, serve two differently coloured thick soups together in the same bowl. Garnish with a fresh complimenting herb and a dollap of Greek yogurt. Love mashed potato but it’s just too ‘morish’? 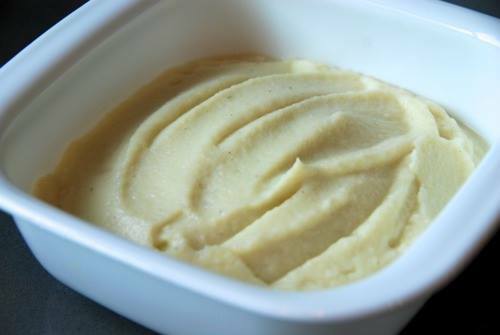 Why not try cauliflower mash! Cauliflower mash can be used instead of mashed potato with a winter casserole, or spread it on top of cottage pie mixture instead of potato! So how do you make cauliflower mash? Simple! 1. Chop cauliflower head in to florets. 2. Steam or microwave until very soft. 3. Add steamed cauliflower to food processor/blender or use a hand blender, as well as any additional flavours (if desired) and blend until smooth. You may need to add a small amount of hot water to reach your desired consistency. 4. Serve with meal, on top of cottage pie or however you wish to use it! 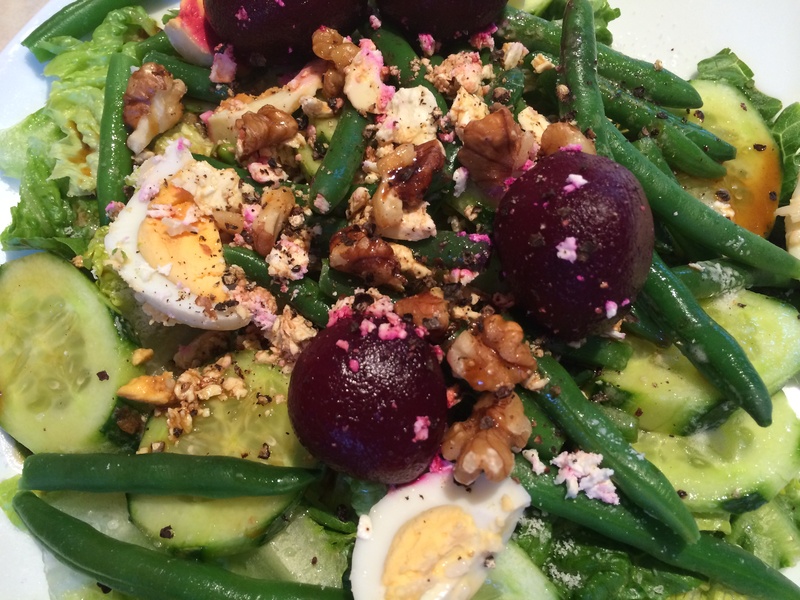 A salad can be quick, easy and exciting. Just start with mixed leaves and add layers of colour and texture, ending with the most interesting. 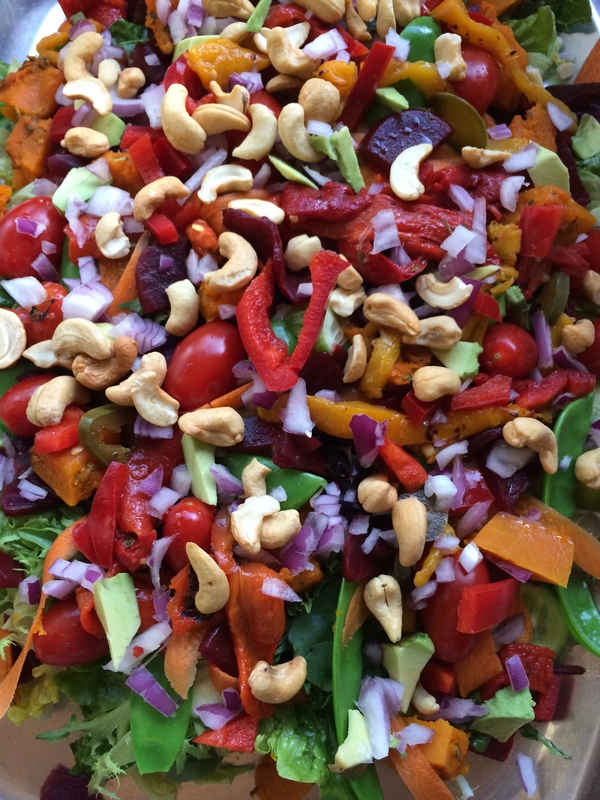 Even just a sprinkle of antipasti mix over leaves looks great. 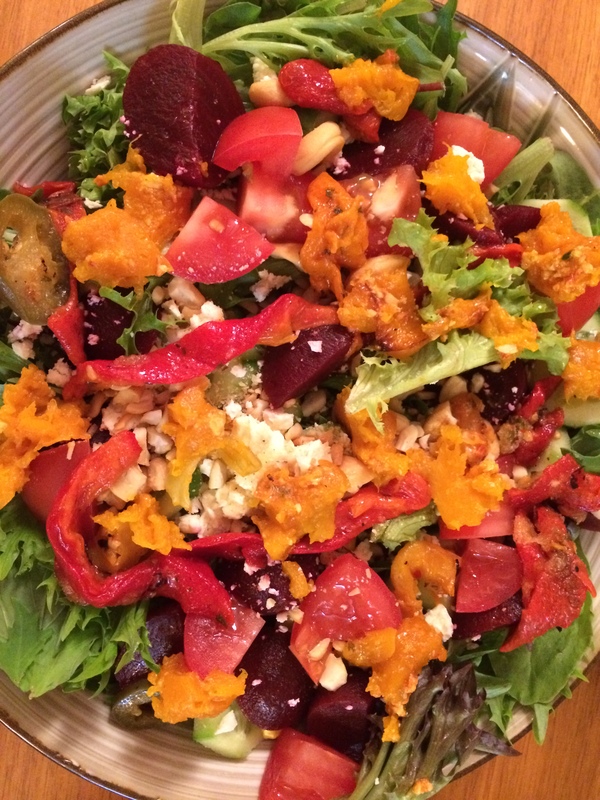 Dressing – mix equal quantities mustard with honey, brown sugar or white sugar and vinegar (plenty). Add a dash or oil if you like. 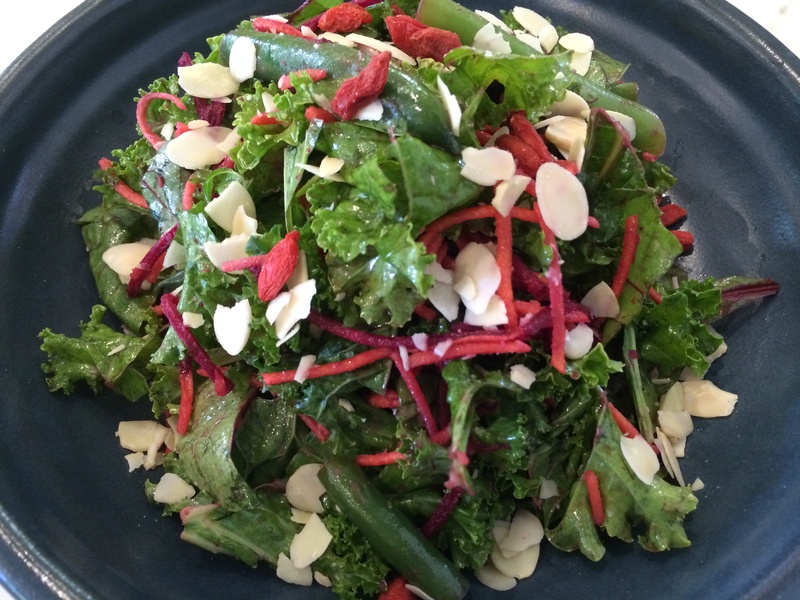 Serve this separately, so leftover salad will last a bit longer.